George W. Woodruff School of Mechanical Engineering alumnus, Hisham Hegab (MSME '91, PhDME '94), professor of mechanical, nanosystems and cyber engineering of Louisiana Tech University, has been named the new dean of the school's College of Engineering and Science. Effective July 1 and pending approval from the University of Louisiana System's Board of Supervisors, Dr. Hegab will take over for Stan Napper, who became vice president for research and development in July. 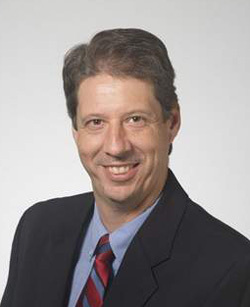 Hegab joined Louisiana Tech's faculty in 1995 and has served as an academic director for the computer science, electrical engineering, electrical engineering technology and nanosystems engineering programs. He also served as associate dean of undergraduate studies in the College of Engineering and Science before serving as its interim dean for the 2013-2014 academic year. During his tenure as interim dean, Hegab was credited with successfully concluding the college's campaign for a new Integrated Engineering and Science Education building. The new 60,000-square-foot facility will double the college's classroom space, provide new faculty office spaces, and provide a new 250-seat auditorium. In addition to being a member of ASME, Hegab is a member of the American Society of Engineering Education and the Tau Beta Pi Engineering Honor Society and is a Registered Professional Engineer in the State of Louisiana. During his tenure at Louisiana Tech, he has earned a number of honors, including the Louisiana Engineering Foundation Engineering Faculty Professionalism Award, the Louisiana Tech University Engineering Science Foundation Service Award, and the Louisiana Tech University College of Engineering and Science Outstanding Achievement in Education Award.